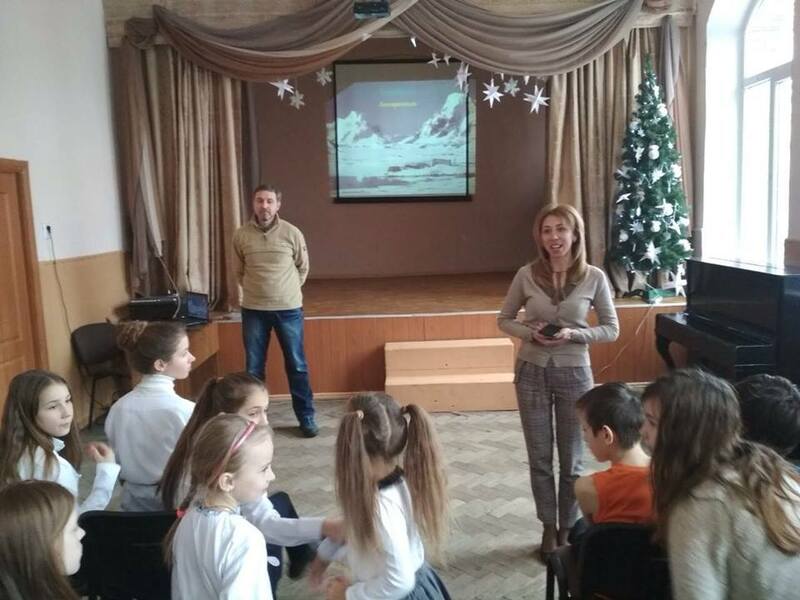 The participants of the Antarctic expeditions continue a series of meetings with schoolchildren who have become winners of the contest “Invite the polar explorer”. 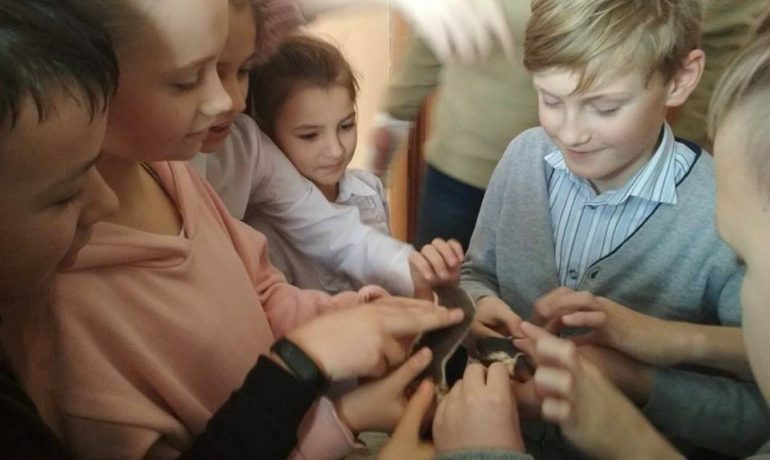 Recently, biologist Igor Dykyi has visited Lviv Secondary School № 3. He gave a short lecture to sixth-year schoolchildren, who initiated the “letter to a polar explorer” and schoolchildren from other classes and has demonstrated his own amateur film about Akademik Vernadsky station and the life of penguins and newborn Weddell seals. “The pupils answered my quiz questions about Antarctica. And everyone who has answered correctly received a prize – a souvenir from Vernadsky, a shell of a sea mollusk. As for the initiators and authors of the letter, they have received a special prize – feathers of Adelie penguin and the Antarctic limpets. The children were so amazed at what they have heard that they didn’t want to let me go, asking many interesting questions,» said Igor Dykyi.